Our team at the National Museum have been active in several ways in this edition of Museums and the Web, held in Cleveland from 19th to 22 April: being part of the program Committee, members of the Jury of the Awards and giving 2 presentations: a 3-hours workshop on content strategy and a presentation of our participatory project Unique Visitors (more details below). 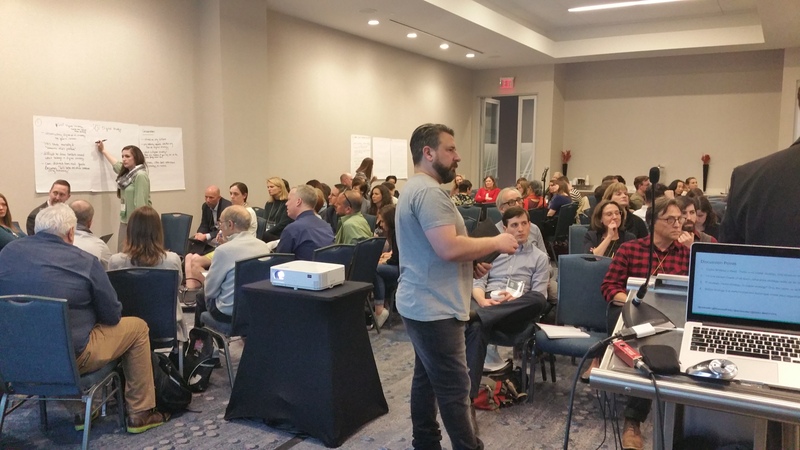 The richness and density of content, sessions and networking make, as usual, any summary complicated, and surely incomplete. I dare share some of the trends that are now much alive in museums, together with relevant links. As usual also, I strongly recommend browsing the Museums and the Web program for full access to keynotes and sessions. As for numbers, Museums and the Web attracted 450 participants from 25 countries. More than 150 papers and sessions were held and more than 1,000 #MW17 tweets published. Accessibility is still a challenge for most museums. As internationally recognised expert Sina Bahram said on the opening session, inclusion can not be a day-two-problem on projects, should be included from the very beginning. 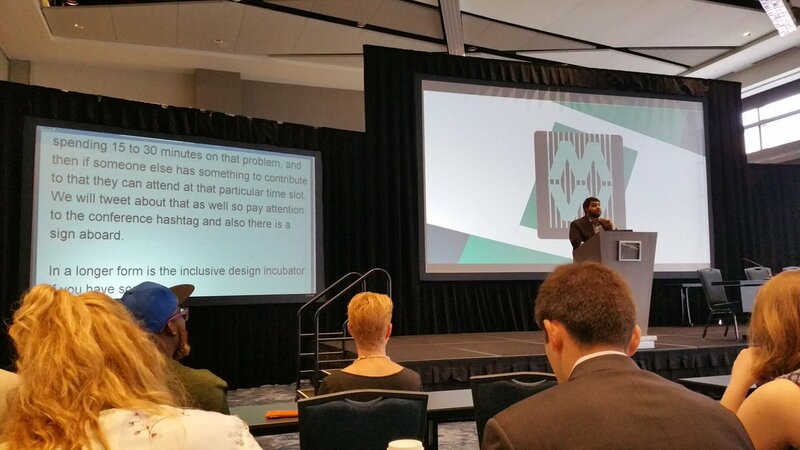 One of the many novelties of #MW17 was the inclusive design incubator where projects could be presented to get advice on accessibility. Sina reminded attendees to describe images on tweets to make them accessible: Making images accessible for people on Twitter. 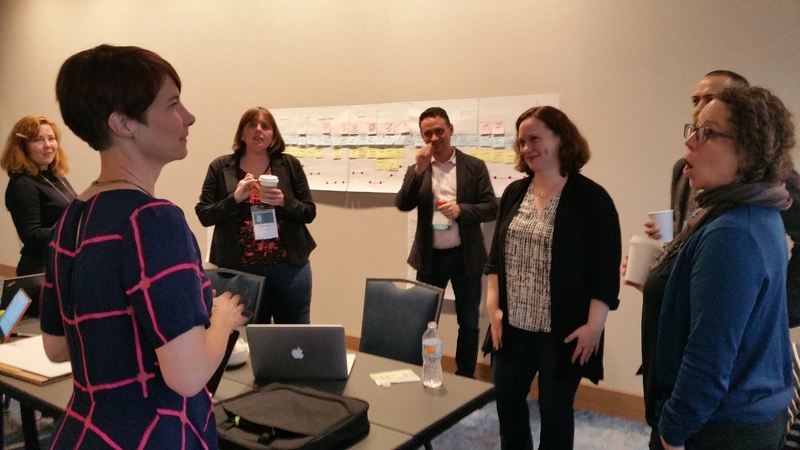 A new Community of Practice on Accessibility was launched. 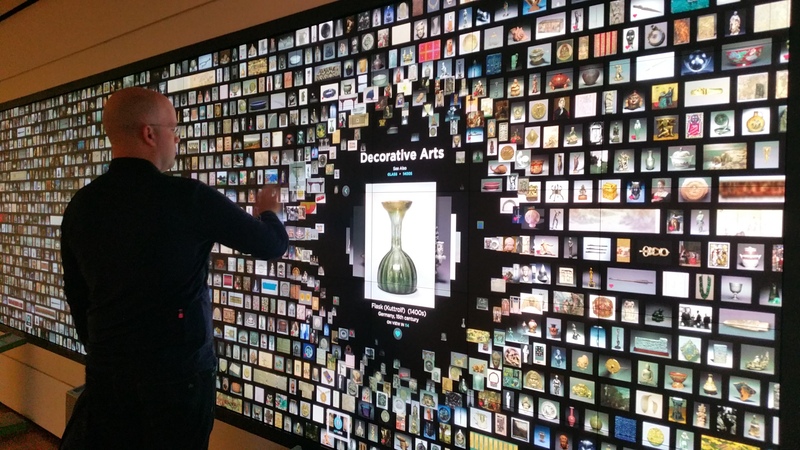 User Experience more than ever: put the user at the centre of what museums do. This means a crucial shift on the museums’ perspective, from the institution or the museum’s knowledge and content towards the visitor’s needs and expectations. 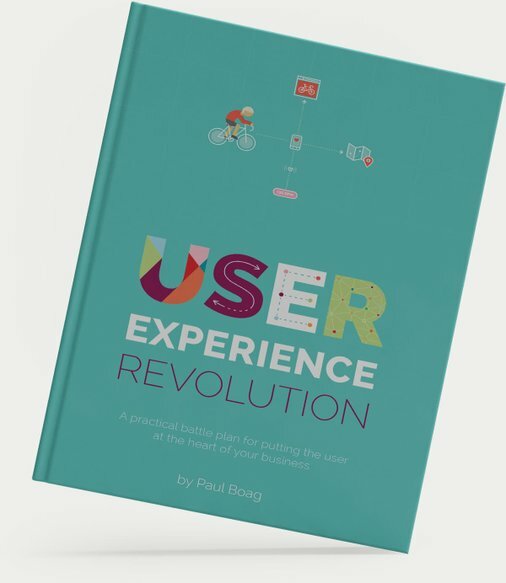 Since digital and print are not at war, two recent books are to be highlighted here: One museum-focused, Creating the Visitor-centered Museum, by Peter Samis and a more general one by Paul Boag, User Experience Revolution. More user research is needed. If we are to tailor museum content and experience we need to know more about our audiences. Not just demographics but also interests, motivations and behaviour. 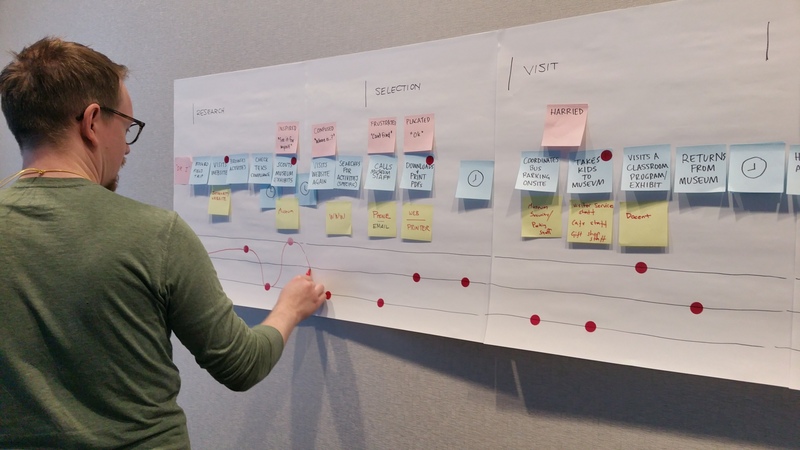 Content Strategy thrives in gearing digital change and helping museums make meaningful connections. Content is really the key to make collections more accessible, attract new audiences, improve the experience and quality of the visit. To appeal to our users, we deploy a diversity of platforms and channels. Then, the more we spread our content into a variety of channels and platforms, the more a solid Content Strategy is needed if we are to provide meaningful, consistent, user-oriented content through better processes of content planning, creation and governance. Best practice to mention is the awarded Digital Content strategy by the Royal Academy of Arts, presented by Louise Cohen. Happy to say that the Content Strategy workshop I run was attended by a highly participatory group. More Storytelling and more immersive. 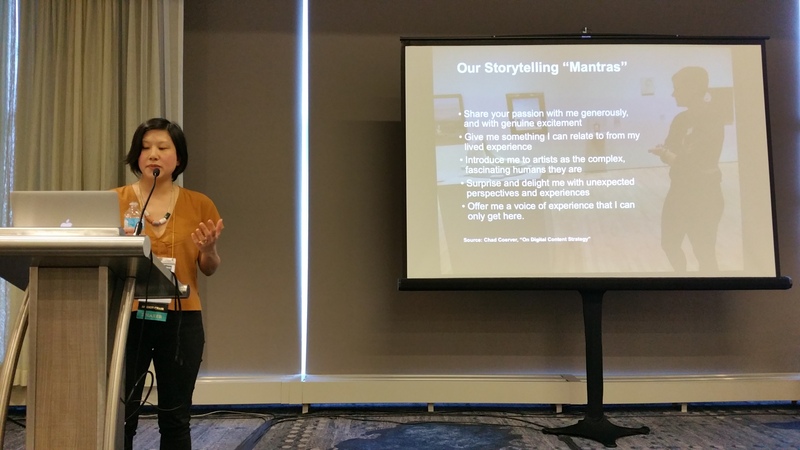 A new Community of practice has been launched around immersive storytelling. Interactive storytelling experiences enhanced by the highest quality images were shared by Madpixel, the creators of Second Canvas platform. There is still room for museum apps. In spite the overwhelming amount of apps and the increasing reluctance of users to download still one more app for a museum visit, reality proves that, if well done, easy accessible and providing added-value, visitors enjoy and engage with museum content via apps. Good examples are SFMOMA or ArtLens apps. 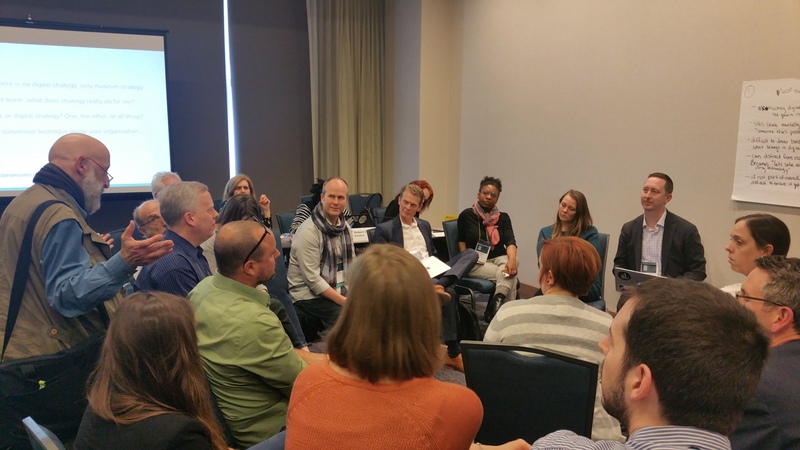 During the What’s mobilizing museums? Session, the awarded SFMOMA app was presented at length. The project is pivoting around the idea of “Tell a story, no the story” (yes, really, no need to try to explain everything we know about our collection!). Proof of the effectiveness of this approach is that their ‘ImmersiveWalk’ of 45 minutes is the most popular part of the app and is completed by 75% of their users. Among the challenges for mobile apps, there is still improvement to be made regarding indoor geolocation. Sometimes the info you get in the app doesn’t accurately present the one you’re expecting related to where you are in the museum which may cause frustration. 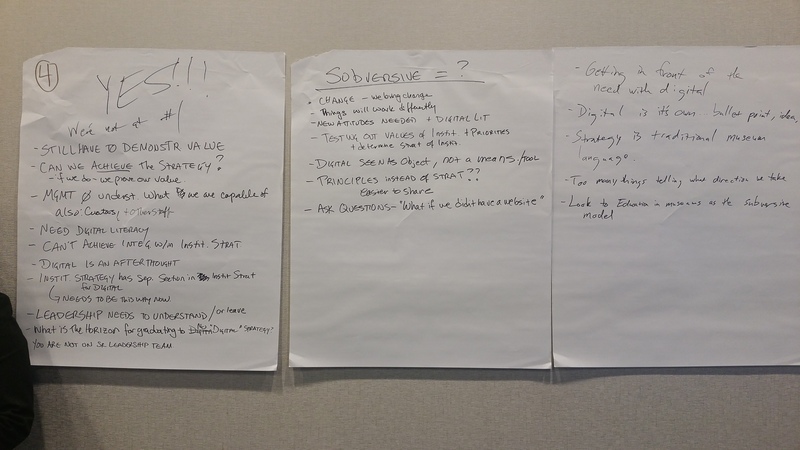 These notes of the session were accurately taken and shared by Miranda Kerr. 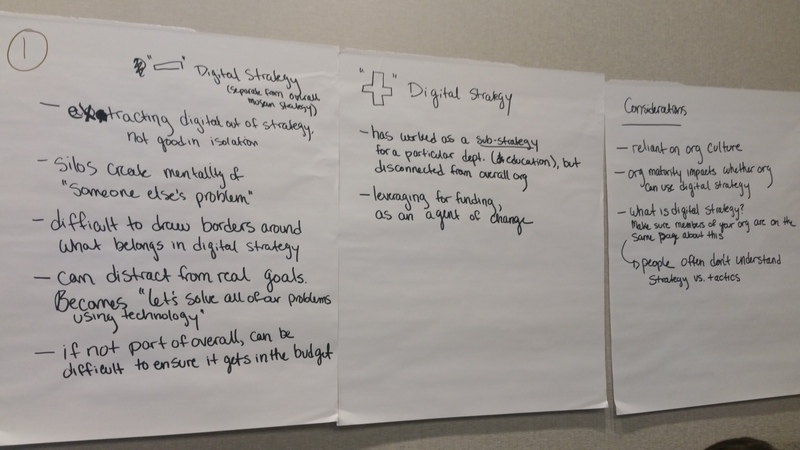 Digital strategy still needed: although the optimal is to have it embedded in the global museum strategy, there was a general agreement that for now there is still a need of advocacy for making digital part of the projects from the very beginning. Strategy is needed also to build a clear path to guide the organisations’ digital transformation. 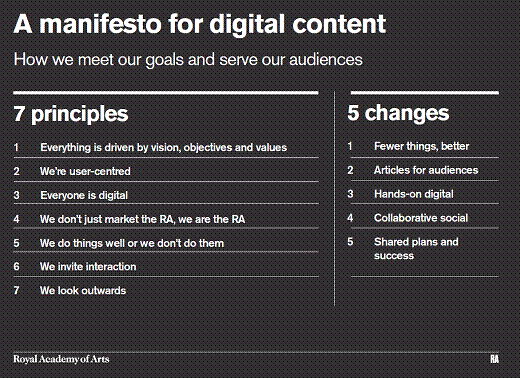 An alive session, ‘Strategy 3.0’, was held to discuss digital strategy meaning today. The panellists will soon publish a paper collecting the collective inputs. Stay tuned! Analytics a must. Many sessions were dedicated this year to data analytics and big data. A Professional Forum Big data and analytics: what we’ve learned so far was conducted by Angie Judge from Dexibit, Rob Stein from AAM and others: “big data and analytics are impacting crucial museum outcomes. As much a cultural change as a technological challenge, this strategic imperative is driving a substantial shift for the cultural sector, from gut feel to data driven decisions”. Collecting data in an integrated way and analyzing them will provide us with knolewdgeable insights to improve museums’ performance. On top of clear visualisation, it is recommended to tell a story with data. Virtual Reality is flourishing but has still a long way to go. More and more new initiatives arise. The wow effect is almost always ensured. For most projects, though, depth in content and memorable experience are next steps to be achieved. During the Mapping the VR Territory session, it was clear that it offers a new type of visitor engagement full of potential. The technology is there, prices are going down, usability is slowly improving. Again, the content and context will be key for virtual reality to provide meaningful immersive experiences. 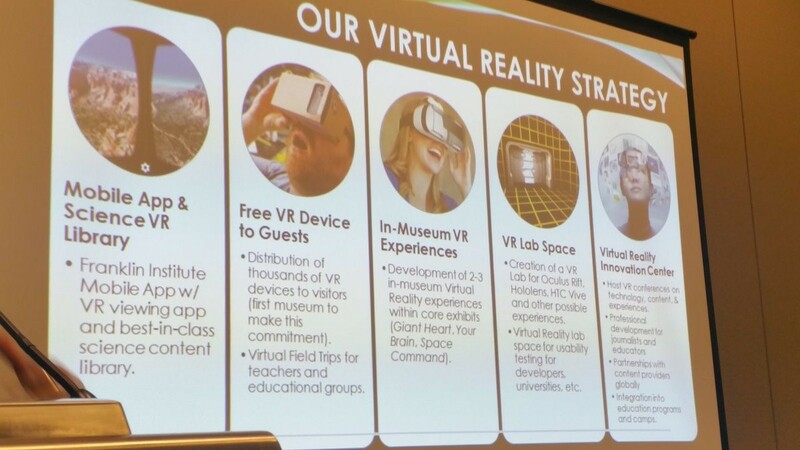 I was really struck to learn that the Franklin Institute has already a Virtual Reality strategy! Among the Demos, we had a Catalan VR project, presented by my colleague Albert Sierra from the Directorate of Heritage of the Generalitat de Catalunya (Catalan government) about the archaelogical site, Ullastret, an Iberian town of more than 2000 years. The VR that can be also experienced outside the site, has been complemented with an immersive room onsite. Several sessions and projects were focused on this high-priority segment. 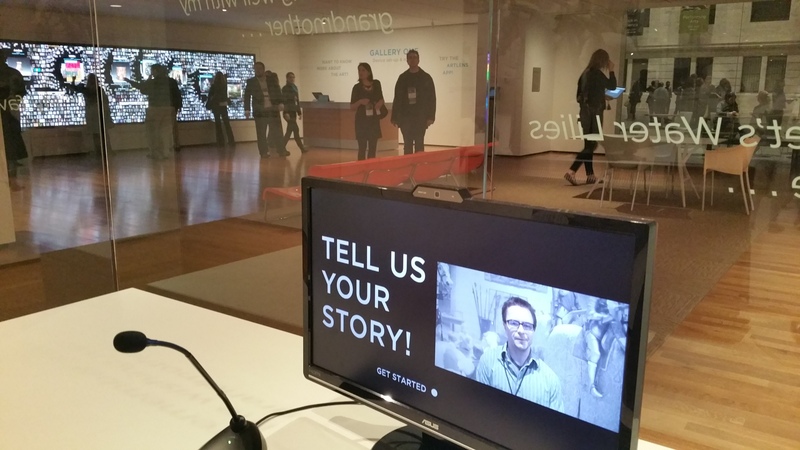 – Journey Maker by the Art Institute of Chicago, that offers a nice hybridation digital/physical experience. 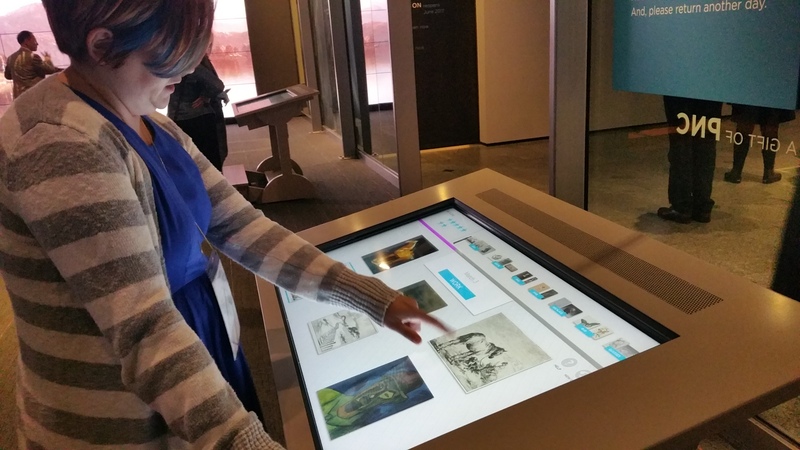 Young visitors can build their own journey on a multitouch table, and then visit the galleries following their selection. – The Visual literacy (VL) program, developed by the Pratt Institute, shared the results of a study based on 3-5 year olds, covering the basic VL elements: color, line, shape and texture. – Teens and Social Media are a perfect match. The project #TeensCan: Let Teens Be Your Social Media Voice, presented by the Monterey Bay Aquarium, launched “by teens, for teens” social media accounts. An excellent way to engage teens with the museum and also involve them in helping the new teams of peers. 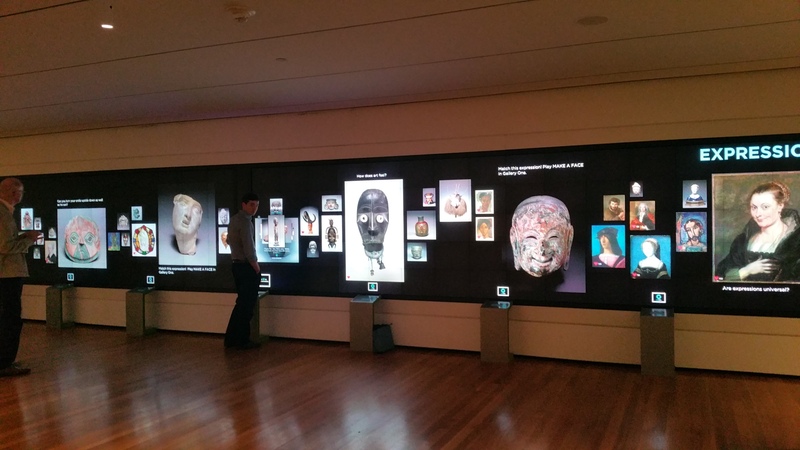 – Also for teens, an app by the Kimbell Museum of Arts was presented: 7 Way To Engage Teens At Your Museum (p.s. it ain’t just about Snapchat). – On the schools field, a winner project was Museum at Your Fingertips: Telepresence Tours for Schools by the Balboa Park, to test the ability of a telepresence robot to provide remote tours for classrooms. Students’ observation and tests were conducted. 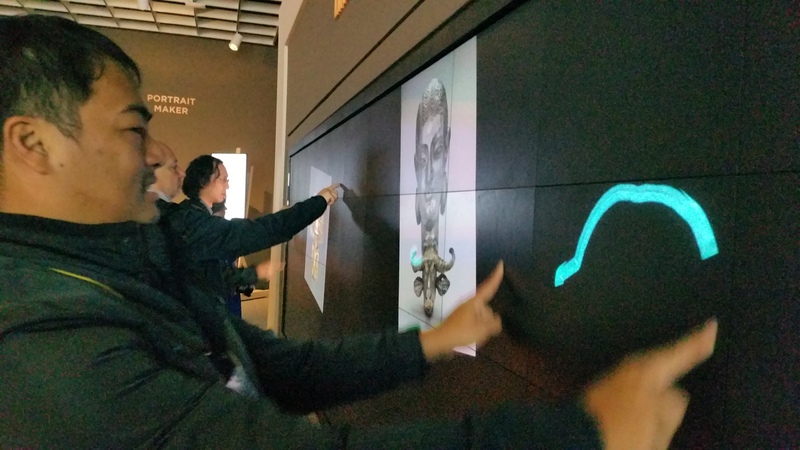 It turned out that combining the robot with a museum educator interaction resulted in a better experience. – The Van Gogh Museum presented the Van Gogh at school online platform, addressed to primary school teachers. Open is the way. “Open by default” is an aspiration for many, to provide open access to research and information assets, to foster new knowledge, to encourage participation. I always defend that, at least for public-funded museums, open content is a museum’s duty and a public’s right. To embrace openness often means a deep organisational change. The published MW paper Open innovation: Open movements and the role of a museum in the 21st century covers all aspects, from open source, open data, open participation, to open hardware. 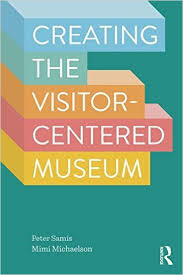 It provides a thorough overview and contains a useful chart to assess the effectiveness of open initiatives in museums. Among the excellent museum examples on open data out there to follow there are: Rijksmuseum in Amsterdam, SMK (Statens Musem for Kunst in Denmark), Museum für Kunst und Gewerbe in Hamburg, Germany, or the recent MET open images release to name a few. It was a coincidence that, during MW, the openGLAM sector was mobilised for a conference in Hamburg, Germany, organised by the Museum für Kunst und Gewerbe and the University of Hamburg and led by Antje Schmidt and Gertraud Koch around openness: “Sharing is caring”. The opening keynote by Merete Sanderhoff is available online: How starting small can change the (museum) world. And here the written version of the opening speech by Antje Schmidt. The 2017 edition of the Awards has undergone a renovation in format, categories and presentation of proposals, now requesting a video to be included, on top of a stronger accent on innovation and accessibility. Excellent projects were presented that made it quite hard for the Jury to reach the final decisions. I recommend to explore the winners and finalists projects that can be of inspiration for us all, as well as to access the whole list of all projects presented to the GLAMi Awards 2017. I hope to see restablished next year the popular vote for the Awards! Gallery One, in the Cleveland Museum of Art, deserves a specific spot in this post. I had talked so many times about the impressive Collection Wall and finally I have been able to touch it, to experience it. 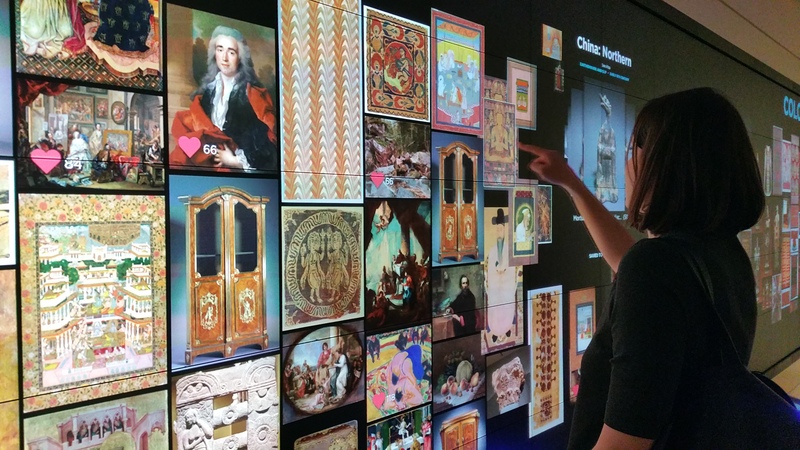 Beyond the wow effect –which is probably the first one you feel when you’re in front of the huge 40-foot interactive, multitouch wall–, you get to explore the collection in a truly engaging way, enjoying the visuals and discovering the museum treasures. Attendees could test the new Gallery One prototypes onsite. The Studio Play –“play, create, connect” –“ is the space for a greater interaction and engagement. 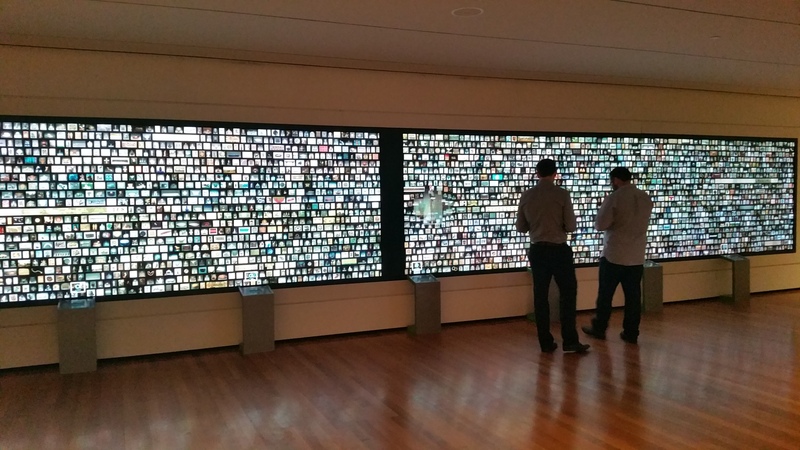 There is not just your hands or eyes, it’s your whole body that interacts with the artworks digitally screened. As simple as it may seem, the drawing of a given shape and instantly seeing an artwork that contains that shape you draw is very powerful. It won a well deserved MW Award under the “Groundbreaking” category. Impossible to condense the conference here. 3D, Linked Open Data, Artificial intelligence, smart museums, machine learning, voice technology and more were discussed and explored. I’m sure others will also blog and share their insights, like Kate Meyers Emery in Broadly Applicable Lessons from Museums and the Web 2017. Plus, presentations and videos will be uploaded in the next few days and weeks. In spite that the MW audience are heavy digital users, having the opportunity to have face-to-face conversations proves to be of highest value. I believe we all came back full of ideas and energized to be part of such a thriving dedicated community around the world making our case for digital interpretation. Museums’ change is happening and digital –and us– are accelerators to make it happen (a little) faster! Being part of the MW Committee program and of the Jury of the Awards has been a great honour. Thank you Museums and the Web (Nancy Proctor, Titus, Hiroko, Rich + volounteers) and Cleveland Museum of Art (Jane Alexander and team) for your hospitality and great work. 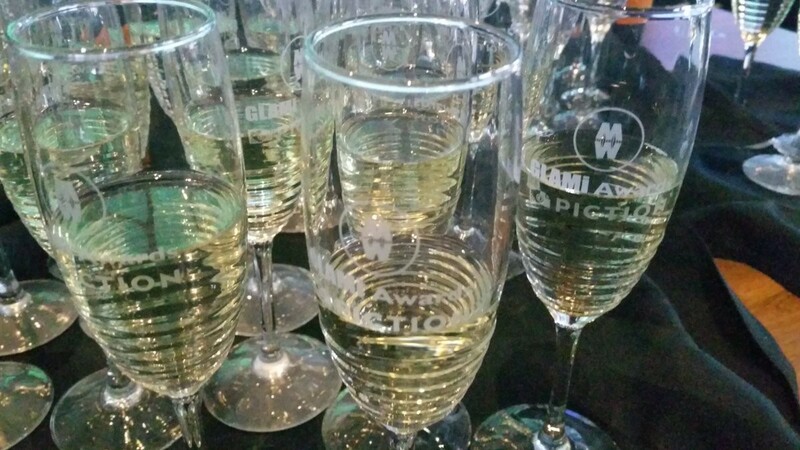 Glasses customized with MW logo for the Awards! If you attended #MW17 which would your favs be? If you didn’t attend, what other issues you feel are essential to be discussed or actions taken? Please share your views on the comments below. MW archive, contains all 2017 papers presented as well as all from the past conferences. thank you very much for your insights and for referring to the “Sharing is Caring – Hamburg Extension” conference ( #sharecarex ). It was organized in collaboration with Gertraud Koch, Professor of Cultural Anthropology at the University of Hamburg. We hope that it brought the discussion about #openGLAM in Germany to a new level and inspires other GLAMs in Germany to establish a public domain policy like we did at the Museum für Kunst und Gewerbe Hamburg or open up step by step. Always good to see that it is an in important part in discussions about museums around the world! Thanks for sharing!